The increasing interest in the landscape of Britain by poets and painters during the 18th and 19th centuries, brought a gradual appreciation of the natural beauty of Guildford's setting, typified by Turners painting of St Catherine's Chapel in c1807. The coming of the railway to Guildford in 1845 meant that the town was now within easy commuting distance of London. This brought an influx of new inhabitants to Guildford who wished to work in London whilst enjoying the benefits of the town's healthy country environment. Gradually large houses began to be built on St Catherine's and Pewley Hill for the more wealthy people, who wished to appreciate the superb views across the river valley. Typical of these houses in the St Catherine's area are Weybourne House, by Henry Peak and Hitherbury House, by Norman Shaw. Further up the hill, Littleholm, designed by Charles Voysey c1900, commands particularly fine views of the river. 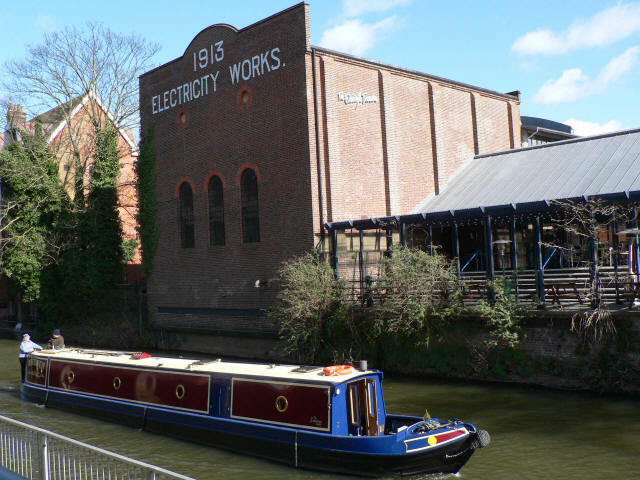 Guildford's first electric power station was built in 1913 next to the Town Wharf and on the site of the old Militia Barracks. In 1997 it was renovated as the Electric Theatre. 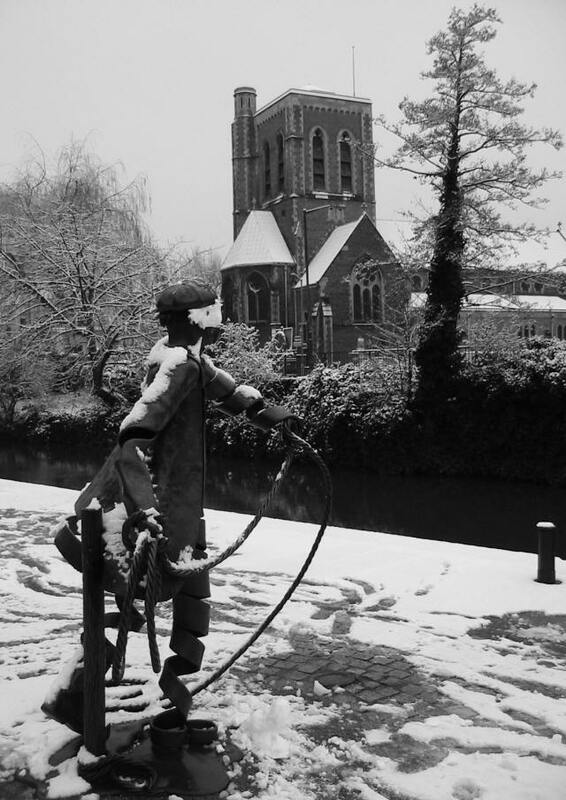 Most of Guildford’s important buildings were located on the higher ground away from the river to avoid the risk of flooding. An exception to this was the ancient church of St Nicolas, which was located near to the river, close to the medieval town bridge. This was a typical homely medieval church and was frequently subject to flooding which may have weakened its structure. As a result the church was replaced with a new church in 1837 designed by the architect Robert Ebbes in a late Georgian Gothic style. The church was rendered externally and internally. The building utilised caste iron columns to support the galleries This church was unfortunately badly built and its style and internal arrangement was considered unsuitable for the later Victorian religious views. It was replaced by the present church in 1875, designed by the architect S.S Teulon.